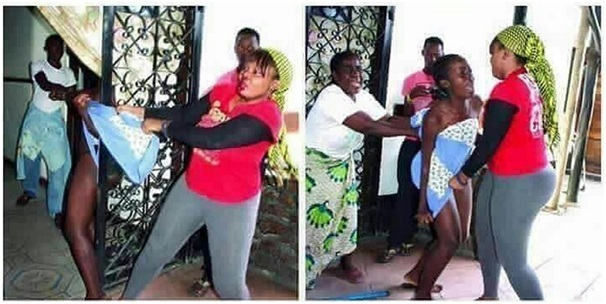 There have been photos doing rounds on social media showing an unlucky guy who was busted by his angry wife devouring a side dish. 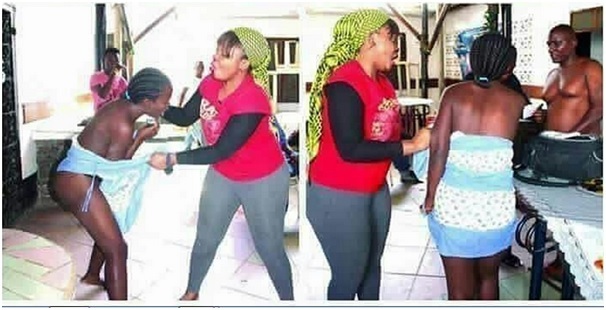 The young girl is said to be from from one of the local universities was roughed up by the guy's husband for having an affair with a married man. The man also received a few blows from the wife who said she will make sure he never repeats the same mistake again. check out the photos.